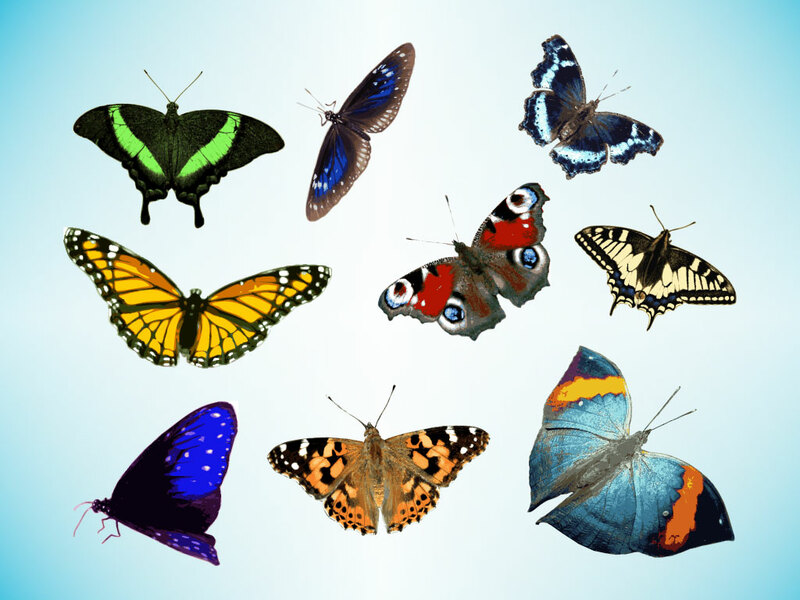 Nine beautiful butterflies come in this realistic vector bundle. Colorful and delicate they're great symbols of nature, freedom, peace and whimsy. Download these life-like vectors for your nature, beauty and Spring design themes. Download as AI and PDF for your projects. Tags: Butterfly, Colorful, Fly, Freedom, Insect, Nature, Realistic, Trace, Wings.